Chevrolet is finally adding the Corvette-derived 6.2-liter EcoTec3 V-8 to the Tahoe. For the 2018 model year, Tahoe customers will be able to order the 420-horsepower V-8, paired with several performance parts as Chevy’s new Rally Sport Truck Package, or RST. 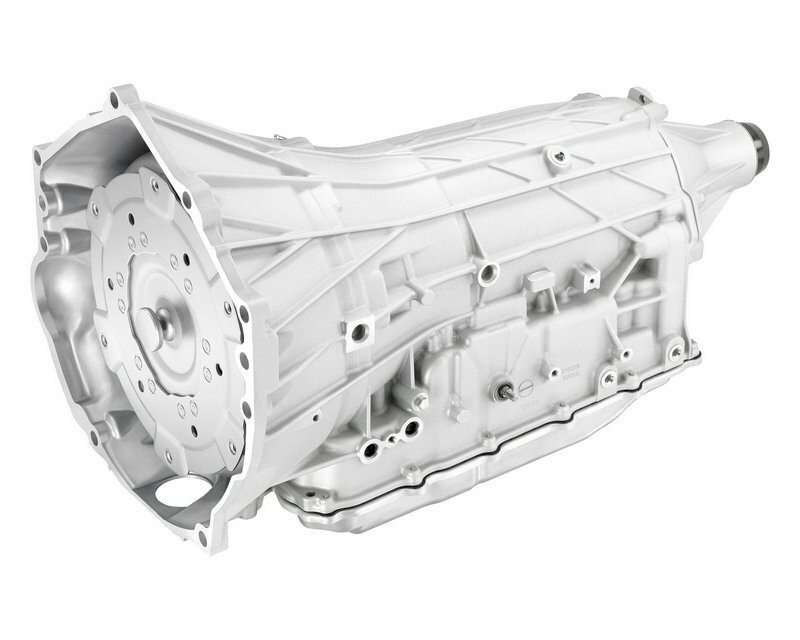 Included is GM’s new 10-speed automatic transmission co-developed with Ford and found in the Camaro ZL1 and F-150 Raptor. Larger brakes, a free-flowing Borla exhaust, 22-inch wheels, and a monochromatic appearance package round out the RST option. The Chevy Suburban is also getting the RST, but sadly without the larger V-8. 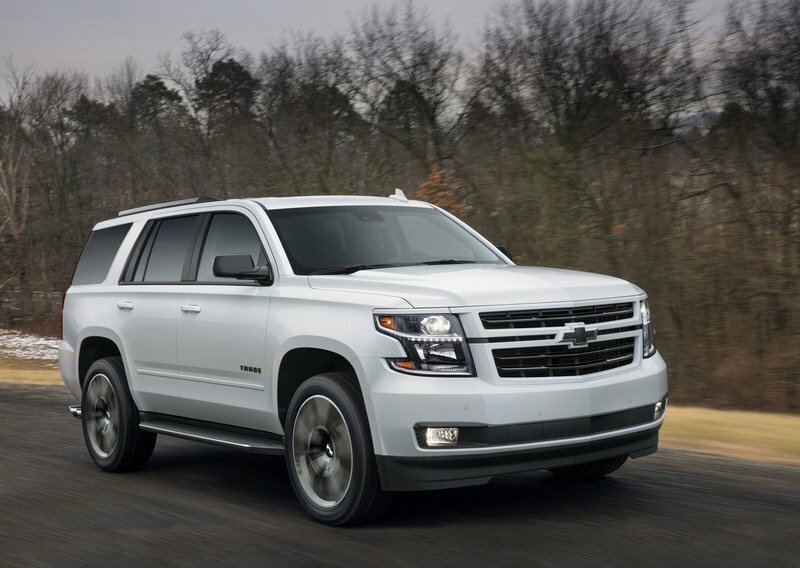 First and most obvious, this marks the first time the Tahoe is available with the 6.2-liter. 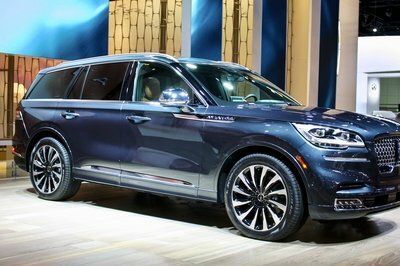 Second, this is the first street-performance package ever offered on the large SUV. And unlike most other “special edition” packages offered by Chevy, this one actually improves performance. 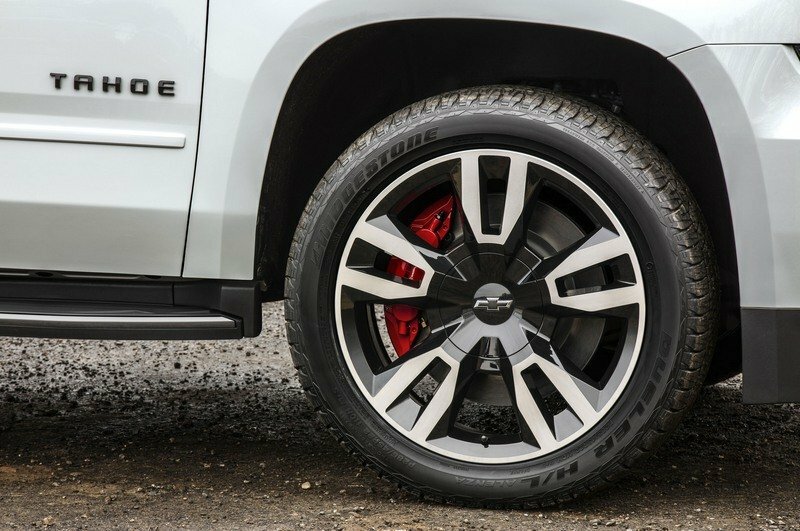 Beyond the powertrain upgrades, the Tahoe RST gets Magnetic Ride Control with a performance calibration; larger, 16.1-inch Duralife front brake rotors squeezed by six-piston Brembo performance brakes; and a Borla dual exhaust system Chevy says adds 10 horsepower at the wheels thanks to a 28-percent improvement in flow. These speed parts, along with the powertrain upgrades, are part of the RST’s optional Performance Package. 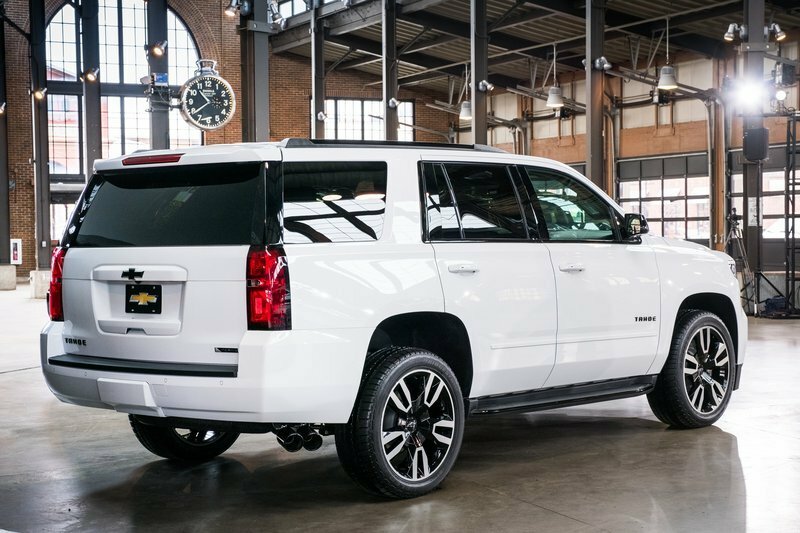 The Tahoe RST is rated to tow 8,400 pounds and is expected to hit 60 mph in less than six seconds. 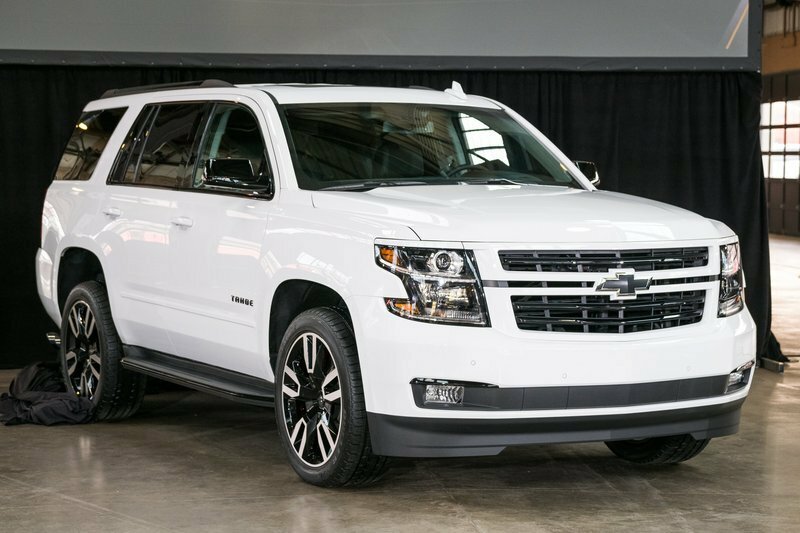 Sadly, Chevy is not offering the 6.2-liter, 10-speed auto, or Magnetic Ride on the Suburban. RST-equipped Suburbans will only receive the monochromatic cosmetic upgrades and have the option of upgrading the brakes and exhaust. The Tahoe and Suburban RST will arrive in Chevy showrooms beginning this fall. Pricing has not been announced, but we’ll speculate on that down below. Be sure to click below to continue this story, along with leaving your comments. 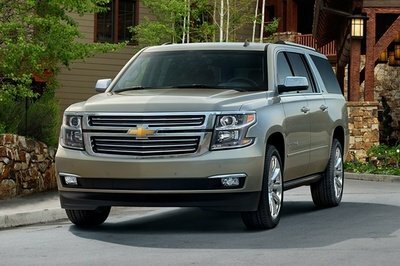 What Makes the Tahoe & Suburban RST Different? A quick glance is all that’s needed to see Chevy has done something different here. The Rally Sport Truck package wears unique monochromatic body panel and is nearly devoid of any chrome. Up front, the grille surround matches the body color, while the bowtie is blacked out, along with the grille louvers. Chevy is only offering four color choices here, which include Silver Ice Metallic, Tungsten Metallic, Summit White, and Black. Chrome isn’t completely absent from the Tahoe RST, however. 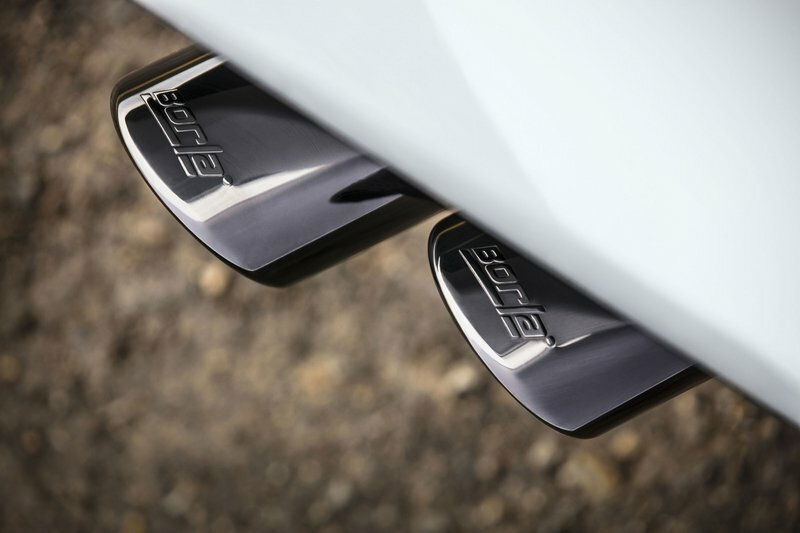 A hint of the shiny stuff is found on the running boards and the optional Borla dual exhaust tips. The mirror caps roof rails, side window surrounds, and badges are all blacked out. That matches the painted black pockets of the five-spoke, 22-inch wheels. A machined aluminum face helps give the wheels depth, while a touch of chrome makes the center cap bowties pop. The wheels are wrapped by Bridgestone Dueler H/L tires sized at P285/45R. The Rally Sport Truck package wears unique monochromatic body panel and is nearly devoid of any chrome. “The RST is designed for customers who want a street performance look without sacrificing capability or refinement, along with the option of increased performance as well,” said Sandor Piszar, Chevy’s truck marketing director. 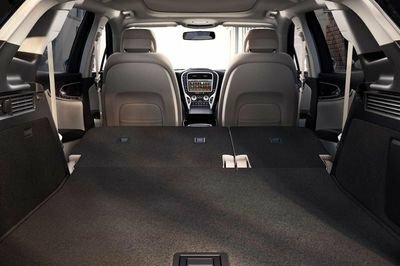 That’s easy to imagine thanks to the highly regarded Magnetic Ride Control system on the Tahoe RST. The computer-controlled shocks use sensors that read the road every millisecond, allowing the internal magnets to change the viscosity of the metal-filled fluid inside the shocks. The result is a ride that can be modified every five milliseconds as road conditions and driving styles change. Of course, the big news is the 6.2-liter EcoTec3 V-8. The engine is already available in the Chevy Silverado, GMC Sierra, GMC Yukon, GMC Yukon XL, and Cadillac Escalade, but this marks the first time the high-horse V-8 is available in the Tahoe. The engine makes an impressive 420 horsepower at 5,600 rpm and 460 pound-feet of torque at 4,100 rpm thanks to its close relation to the LT1 found in the Corvette and Camaro SS. Only a handful of parts and an ECU tune separate the engines. In comparison, the Corvette’s LT1 produces 460 horsepower and 465 pound-feet of torque. The big news is the 6.2-liter EcoTec3 V-8. The engine is already available in the Chevy Silverado, GMC Sierra, GMC Yukon, GMC Yukon XL, and Cadillac Escalade, but this marks the first time the high-horse V-8 is available in the Tahoe. 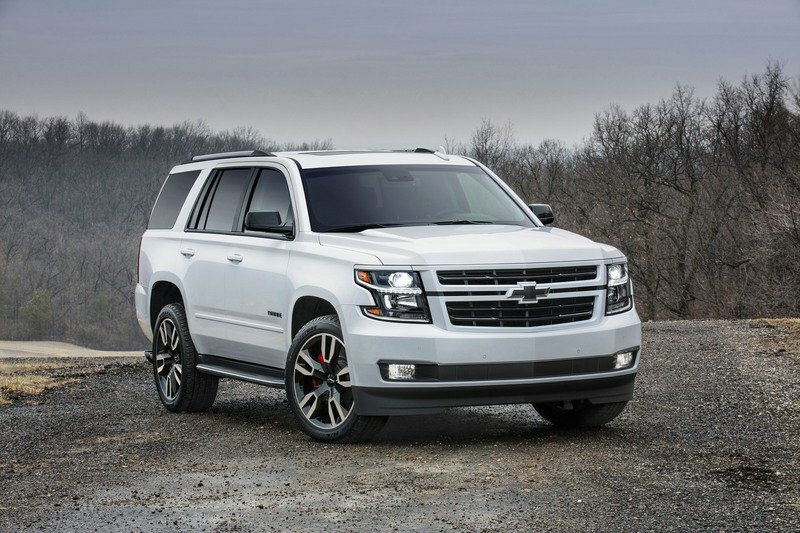 Though the Tahoe’s version of the LT1, the L86, is detuned from the Corvette and Camaro, it’s a big improvement from the Tahoe’s standard 5.3-liter EcoTec3 V-8. It makes a relatively puny 355 and 383 pound-feet of torque. The new 10-speed automatic transmission is also a big improvement over the six-speed automatic that comes with the 5.3-liter V-8. And while the RST is the first application of the 6.2-liter in the Tahoe, this isn’t the first time the bigger V-8 has been offered in GM’s full-size SUVs. 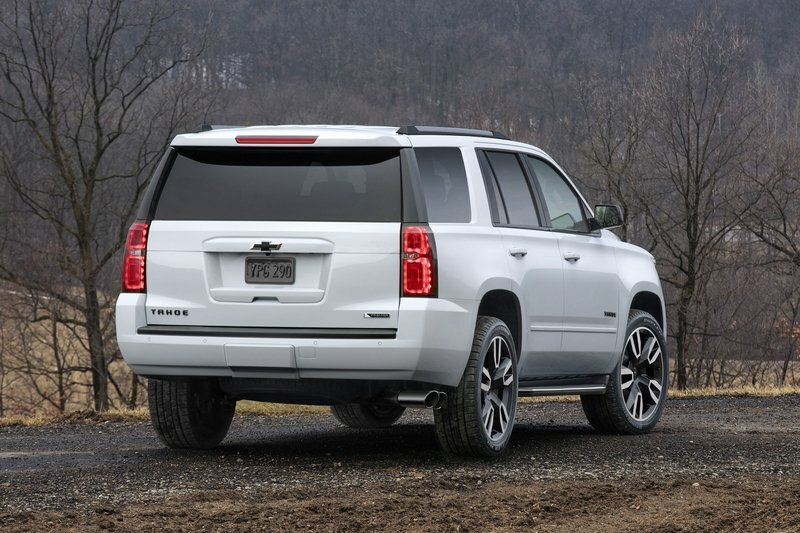 The Tahoe’s corporate twin, the GMC Yukon offers the 6.2-liter when fitted with the range-topping Denali trim. We’ve tested both the Yukon Denali and Yukon XL Denali and found the 6.2-liter V-8 more than adequate at motivating the big SUVs. As for pricing, Chevy says official numbers will be available closer to the Tahoe and Suburban’s on-sale date in the fall of 2017. As for pricing, Chevy says official numbers will be available closer to the Tahoe and Suburban’s on-sale date in the fall of 2017. 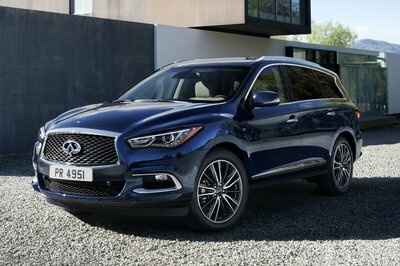 The standard RST package will only be available on LT and Premier trim levels, making it a higher-end vehicle. Chevy already offers the Borla exhaust system and Brembo brake upgrade through its dealership network, available to any Tahoe or Suburban buyer. Al la carte, the exhaust costs $1,249 and the Brembo brakes cost $2,795. We expect the Tahoe RST to cost an additional $1,500 to $2,500 over the standard LT and Premier trims. We estimate the Performance Package (which adds the 6.2-liter V-8, 10-speed auto, and the performance-tuned Magnetic Ride Control) will cost at least $4,000. All told, a fully kitted Tahoe RST could cost well above $70,000. We look forward to driving the 2018 Tahoe RST. Its sport-tuned suspension, big brakes, and mighty V-8 should make it a blast to drive. And of course, it can still carry eight people or haul 94.7 cubic feet of cargo behind the first row. Today, Chevy introduced a new special edition for the Tahoe and Suburban: the street-performance Rally Sport Truck, or RST. The Tahoe RST will also be available with a new Performance Package that includes a 420-hp, 6.2L V-8 engine; Magnetic Ride Control with performance calibration; and an all-new Hydra-Matic 10L80 10-speed automatic transmission. Available upgrades for Tahoe and Suburban RST include a Borla performance exhaust system that offers a 28 percent improvement in exhaust flow, for a 7-10-horsepower gain at the rear wheels. An available brake package features massive front red Brembo six-piston, fixed aluminum calipers with brake pads clamping on larger-than-stock 410 x 32mm (16.1 inch x 1.3 inch) Duralife rotors coupled with a 84 percent increase in brake pad area and a 42 percent increase in rotor area to increase system thermal capacity. Duralife™ rotors feature a hardened surface to reduce corrosion and provide quieter braking with less vibration. 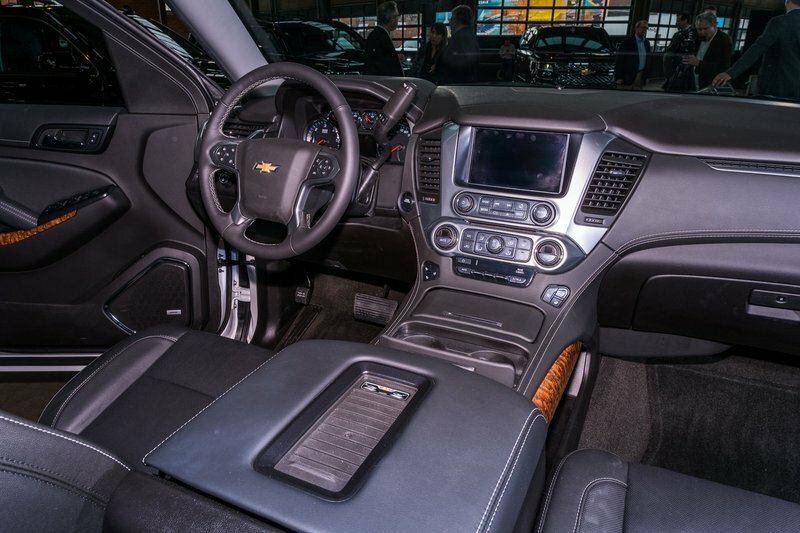 The Tahoe RST will also be offered with an exclusive Performance Package that includes Magnetic Ride Control with performance calibration, 6.2L V-8 and the new 10L80 10-speed automatic transmission. This is the first time Tahoe will offer the 6.2L V-8, which delivers an estimated 420 horsepower and 460 lb-ft of torque. The engine features three state-of-the-art technologies — direct injection, Active Fuel Management and continuously variable valve timing — to make the most of power, torque and efficiency across a broad range of operating conditions. The 6.2L V-8 will be paired with an all-new 10-speed automatic transmission. 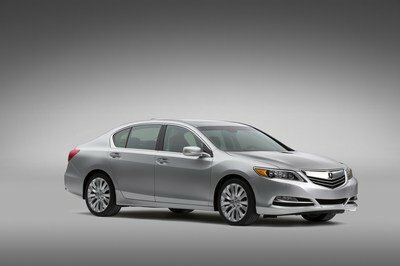 With smaller steps between each ratio, the transmission maximizes engine power under acceleration. With a wide 7.39 overall gear ratio spread and lower numerical top gear ratio, the transmission also improves efficiency by reducing engine revolutions at highway speeds. Based on preliminary estimates, the Tahoe RST Performance Package will offer a towing capacity of 8,400 pounds and the truck will be cable of 0-60 mph acceleration in less than 6 seconds. Full performance metrics will be announced closer to launch. 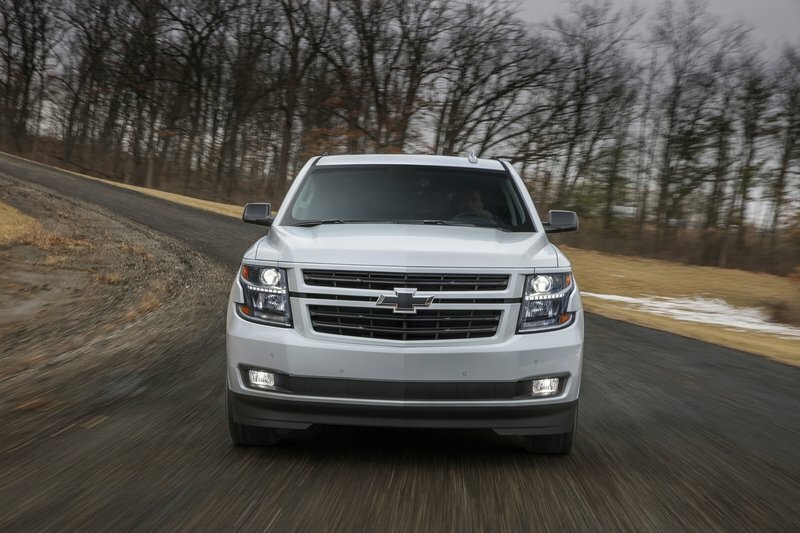 Chevrolet has been the best-selling full-size SUV brand for 42 years. 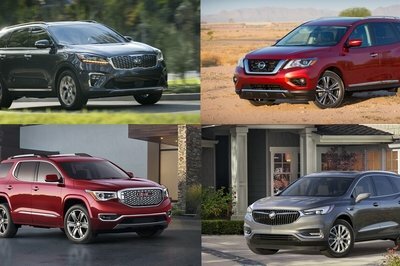 Today, Tahoe and Suburban are the top two vehicles in the segment. They also account for 49.3 percent of retail sales, or nearly one out of every two full-size SUVs Americans bought in 2016. Tahoe and Suburban customers are also the most loyal owners in the segment, with 79 percent of owners replacing their vehicle with another Tahoe or Suburban.